80km/15hours. 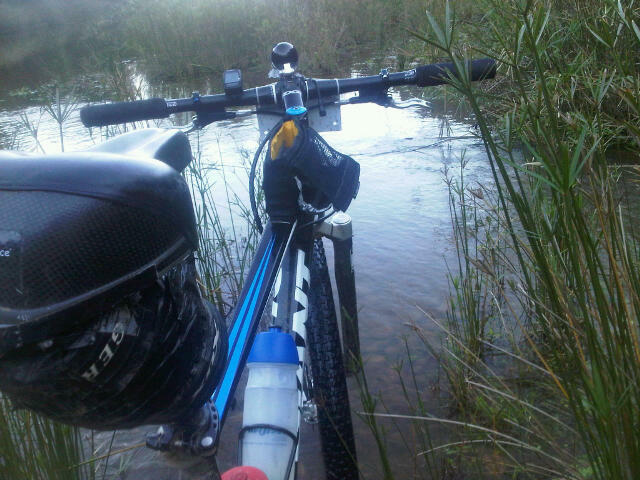 A frustrating day that started out with a pre-dawn attempt at the Perdeberg portage which didn't work out and left me thrashing through the bush trying to find the right way down the mountain in the dark. 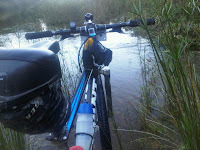 My navigational blunder cost me at least 5 hours and the chance of getting to Dam se Drif tonight. 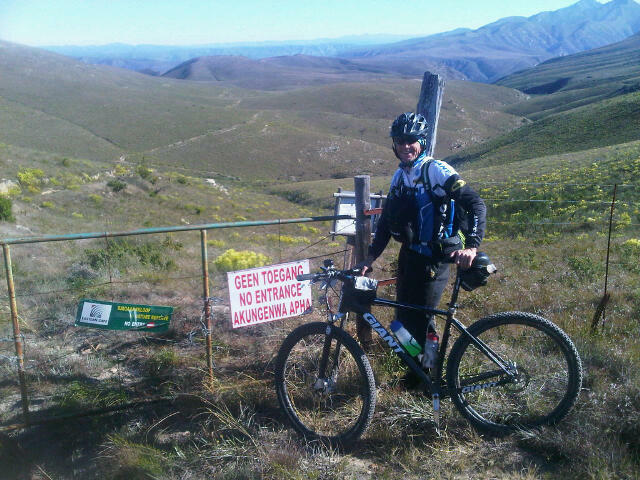 So I ended up doing a single stage and got to do some riding with the group of Gawie, Scott and Ray. Today's stage took us through some dramatic mountain ranges and from one highpoint, we could see the ocean down south, close to Jeffrey's Bay. 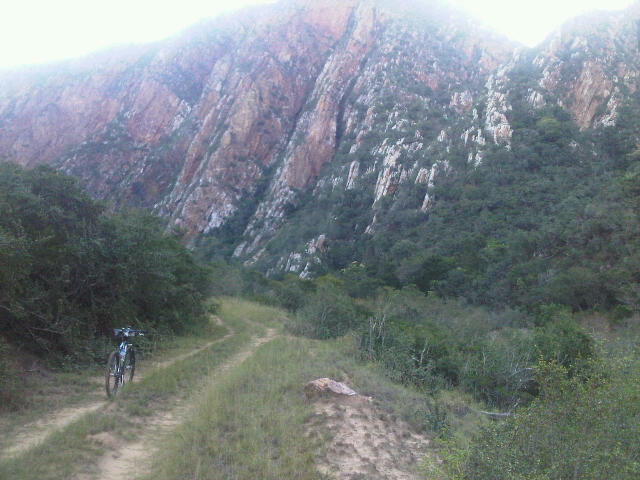 Descending the rough Osseberg jeep track was quite a chore without any suspension but the views made up for it. Once down in the valley, the track crosses the same river 11 times as it winds its way along the valley floor to Cambria. Tomorrow we head west through the Baviaanskloof Wilderness Area. There's no tricky navigation so I'll start early and try to make up some lost ground. posting a blog from cambria?impossible! my fave day on the route. looks like you still did the crossings in daylight, so plenty of rest time to make willowmore or beyond.